How to get three stars in the new levels. 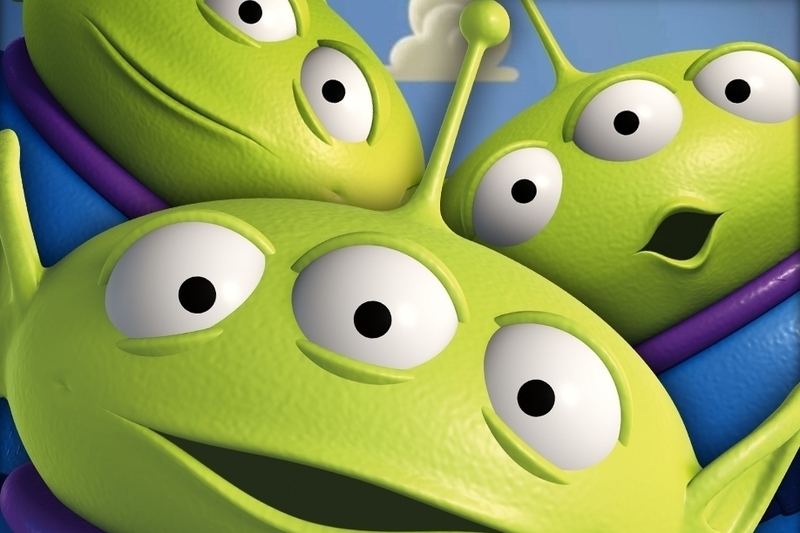 If you missed out on the physics puzzling fun of Toy Story: Smash It! 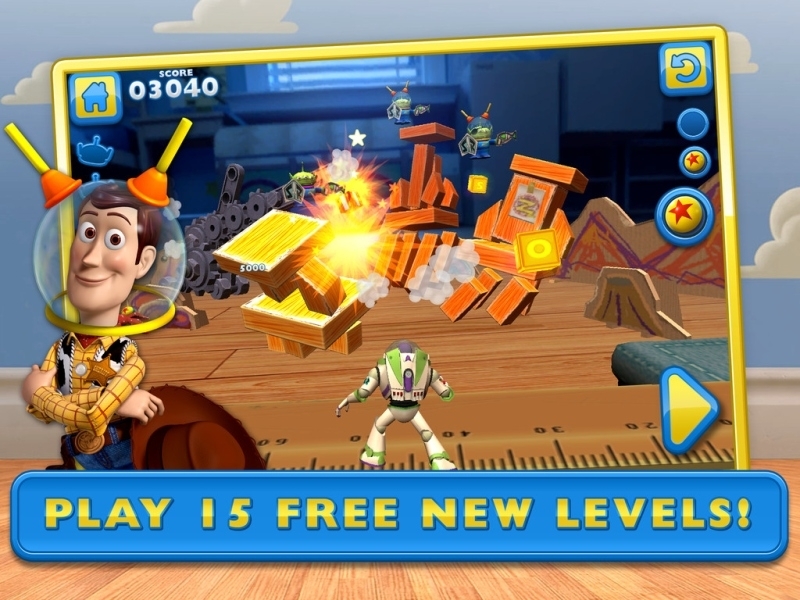 last year, or aren't sure if it's your kind of game, you can now grab fifteen brand new levels for absolutely nothing in the form of Toy Story: Smash It! Lost Episode. Stuck making progress? Have a look through our complete guide to the game. - See that big yellow button that appears after some shots? If you hit that, Buzz's projectile will keep traveling through anything it comes into contact with. Note that the ball will travel forwards the moment you hit the yellow button, so time your use of it until the shot is at just the right height you need it to be. - The golden blocks aren't just useful for getting a big score, they're also a great indicator of how you should line your next shot up. Always take the domino effect into account, however. Can you grab that block by toppling a piece of scenery that will also get rid of another alien at the same time? The more chaos you can cause with a single shot, the better your chance of maxing out your three star rating on a level. - To get the highest score possible, you're going to need to bring down every single alien, get all of the golden toy blocks, and also complete each level with two shots left in the bank . Once you've completed a level, we recommend heading straight back in to see how you can refine your solution, get a higher score, and hopefully walk away with that magic three-star rating. - Certain objects - such as trains - will travel through a level automatically, and they'll stop when they reach an obstacle. That right there is a big clue that you need to clear the path ahead so that the chaos can continue. Plan to take out aliens in the order that the train travels through the level, and always keep an eye out for ways to topple lots of scenery at once. - Before taking a single shot, move Buzz right around the level using the left and right directional buttons. Look at the scene from every angle to see if there's a way to topple more obstacles with a single shot. - Don't rush to use explosives too quickly! If a bomb parcel is set apart from a nice cluster of aliens, think about how you can bring its power into play more effectively. Can you tip it towards the aliens? Is it resting on an object that can be moved? Always try to get the most impact from the resources you have - it's the key to getting a three star rating on a level. - Sometimes you're going to need clever timing to take a level down, particularly if you only have a very limited number of shots. If a bomb is attached to a moving object, think about when the best moment to detonate it would be, and make sure you fire your shot off so that the objects collide at just the right moment. Hit the Retry button if you miss the first time. - You need to be very careful when it comes to managing rebounds off glass, but you can actually use this feature to your advantage. Need to clear a whole level with only one shot? Look at where any glass is placed, and see if there's a way to use its bouncy properties to your advantage! There's always a clever one-trick solution to even the toughest levels, and you'll always have the tools you need to get the job done.